I haven’t talked about my writing that much on the blog lately. But, yes I am still writing! Slowly, but surely. I’m actually still working on my historical fiction novel about Tesla. Nikola Tesla, the inventor, not the car (more on that in a sec). I’ve been working on this book for five years now! Eek! Off and on because I wrote a draft of another book and worked on an older book during that time, but five years still. One thing I find a lot is that most people haven’t heard of Nikola Tesla the inventor. The Tesla car, absolutely! But the genius inventor? Not so much. Internet cartoonist The Oatmeal has a great primer on Tesla here, if you’re curious. In my new series, Writing Project Wednesday, I’m going to be talking about my writing projects a lot more going forward. Specifically, all of the random research that goes into them. Even if you’re not writing historical fiction, you’re almost always going to have to do a boatload of research and become an armchair expert on something or the other like knitting needles or postage stamps. Seriously, there is no escape. I’ve always said, if going to school and accumulating degrees was a career, I’d probably be doing that. I LOVE learning stuff. I LOVE reading (duh) and I LOVE falling down rabbit holes on the internet on semi-obscure subjects (I’m looking at you Jonestown) so being a writer is a good fit. Another thing I really love doing, is teaching people. Thus, this new series! Light of Recognition: Oh I’ve heard of Tesla! That’s cool you’re writing about the car, it’s so popular right now. You know my neighbor has one. Did you know it can drive itself? Apologetic Murmuring and Appreciative Nod: Oh, ok so there was an actual guy named Tesla. My mistake. I thought you were talking about the car. You said he was an inventor? Did he invent the car? Your project sounds cool by the way! So many conversations roll like this, I’m honestly surprised when someone knows I mean Nikola Tesla and then can name an invention of his. That person immediately becomes at least 20% cooler in my mind. Sorry, not sorry. Without further ado, allow me to give you the facts and unravel the mystery of Nikola Tesla, Elon Musk, and the Tesla car! -This is Nikola Tesla. 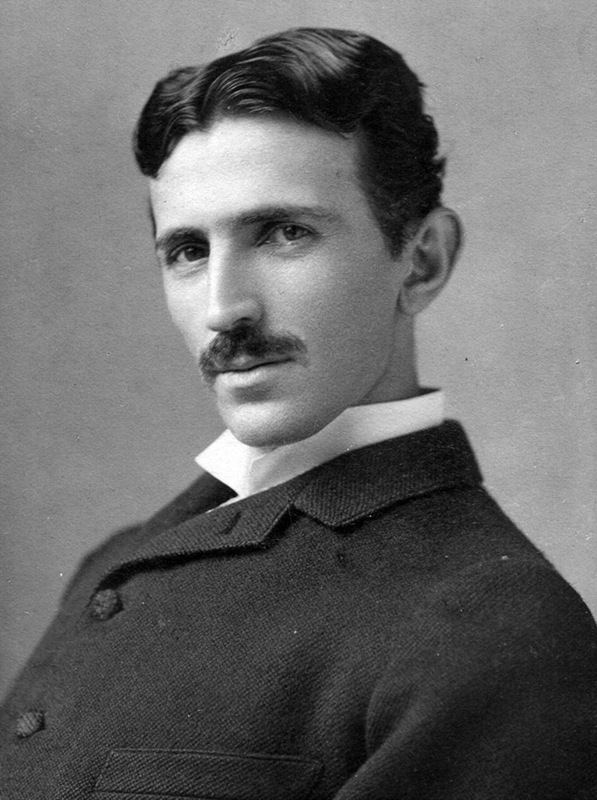 Nikola Tesla was a genius inventor who was born in Serbia in 1856 and died in New York in 1943. Nikola Tesla developed the AC current motor in the 1880s, which later put him at war with Thomas Edison and his Direct Current (DC) design. He also invented or conceptualized a bunch more things. A cloud of conspiracy surrounds him to this day. -This is Elon Musk. Elon Musk is a businessman who was born in South Africa in 1971 and is still alive and kicking and currently dating Johnny Depp’s ex-wife, Amber Heard. -Tesla, Inc. is an American car company founded in 2003 by Martin Eberhard and Marc Tarpenning. 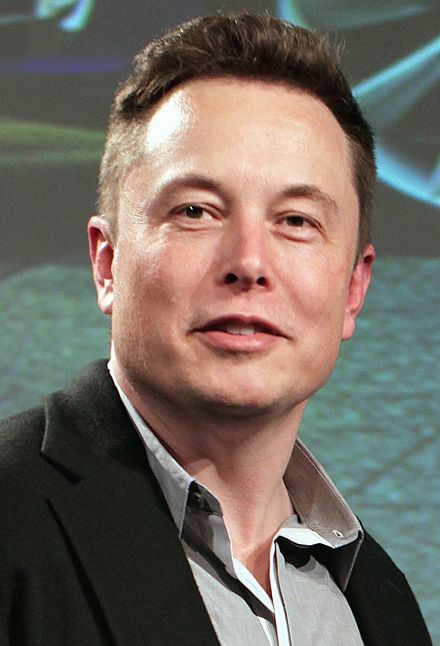 Elon Musk is the face of the company as its current CEO. Fun fact about the logo: Elon Musk said it is intended to represent the cross-section of an electric motor! 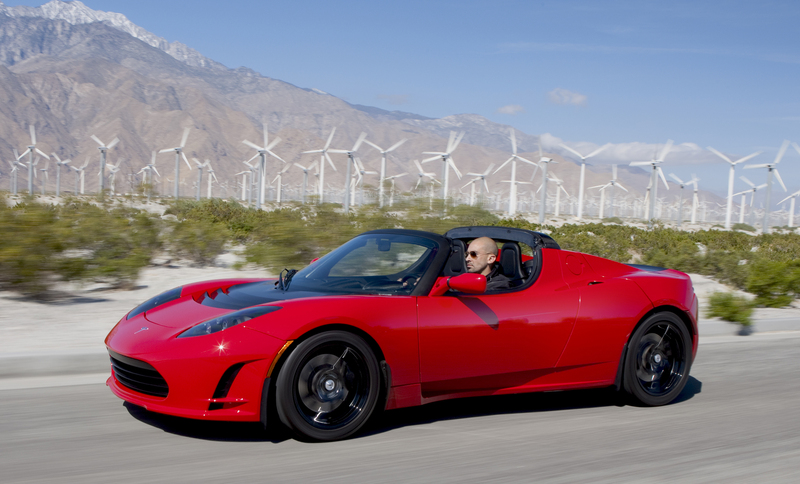 -This is the Tesla Roadster, the first Tesla car. It used an Alternating Current (AC) induction motor so they named the company and the car after Nikola Tesla since the car’s motor is descended from Tesla’s original design. -This is the extremely popular Model S. It also runs on an AC induction motor. It is the new status symbol of wealthy people who care about the environment and also want to drive a cool car. I want one, too. Elon, if you feel like sending me a Model S, I will gladly take it off your hands! Any color, my friend! tl;dr Nikola Tesla was an inventor who invented the AC motor. The founders of Tesla named the car and the company after him because they use an AC induction motor in their cars that is modeled after Nikola Tesla’s invention patented in 1882. Next week, I’m going to talk about lightning!